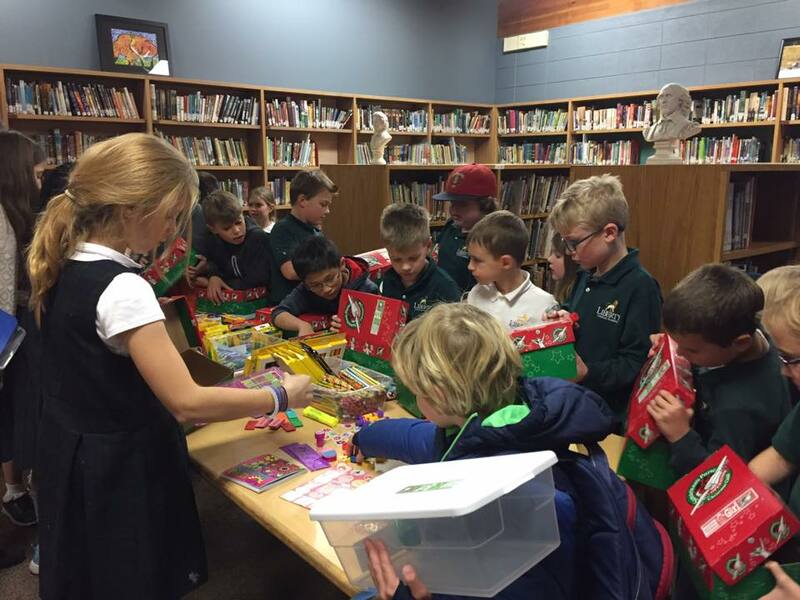 The Operation Christmas Child Packing Party is planned for Monday, November 12th in the Cafeteria, from 3:30 to 4:30 pm. Everyone is welcome and students 2nd grade and younger should be accompanied by an adult. Donations are being accepted and can be dropped off with Renate Anderson in room 204. Thank you for bringing in items like small toys, school supplies, small clothing items etc. Click here for more gift ideas! "Wow" items: one per box, with smaller items arranged around it. Consider including a letter and maybe a picture of your family with your box. Please pray for all of the boxes to reach the right destination and to become a blessing by delivering the love of Jesus to a child and his/her family and community. Even if you cannot participate in the packing of a box or coming to the party, consider "adopting" one or more boxes and making a donation towards the shipping costs.